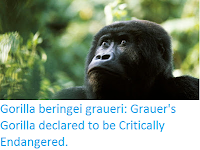 Sciency Thoughts: Virunga National Park guide killed protecting British tourists. Virunga National Park guide killed protecting British tourists. A guide at the Virunga National Park has been killed while attempting to protect a pair of British tourists from militiamen in the Democratic Republic of Congo. Rachel Masika Baraka, 25, was killed in the incident in which two British tourists, named as Robert Jesty and Bethan Davies, and a local driver, were kidnapped on Friday 11 May 2018. She is thought to have been the first female guide to have been killed in the park, and the 175th guide killed since the park first opened in 1925, and has been described as a selfless and dedicated conservationist by her colleagues. All three of the kidnap victims were later released unharmed. 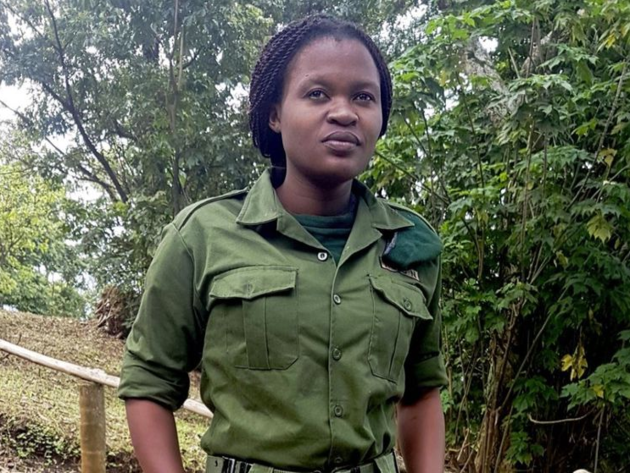 Park guide Rachel Masika Baraka, 25, killed in an attack on tourists on 11 May 2018. 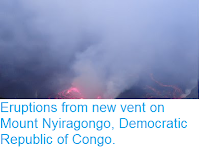 Virunga National Park. The civil war in Rwanda in 1994 led to hundreds of thousands of refugees to flee into eastern Democratic Republic of Congo, destabilising the area and helping to trigger the Congolese civil war of 1996-2003 which killed an estimated five million people, and destroyed much of what little infrastructure existed in the east of the country. This situation was further exasperated by refugees and militia groups fleeing conflicts in South Sudan and Uganda, and by military incursions by several neighbouring countries seeking access to the area's rich reserves of gold and coltan minerals. 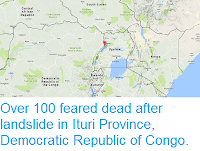 This has led to a situation where much of the east of the Democratic Republic of Congo was in the hands of a variety of militia groups, many of which also control mining encampments, and are at least in part dependent on bushmeat (hunted game) for sustenance. Against this background the Congolese parks authorities have struggled to re-assert their authority in the region, with more than 150 rangers from the Institut Congolais pour la Conservation de la Nature having been killed in action over the past 20 years. The Virunga National Park derives about 20% of its income from tourism, with the rest coming from international donors, but these tourists have become a focus for militia activity, as they are seen as wealthy foreigners from which money can be obtained. Following last Friday's attack the park has been closed to tourism while the situation is reviewed. Teenager bitten by Shark off Florida beach. Eruptions on Mount Langila, New Britain. Asteroid 2018 KF1 passes the Earth. Magnitude 2.5 Earthquake off the coast of Norway. Asteroid 2018 GJ1 passes the Earth. Asteroid 2018 HL2 passes the Earth. Cougar kills cyclist in Washington State, USA. Asteroid 2018 JG3 passes the Earth. Storms kill at least 41 in India. Landslip at Mizoram quarry kills four. Asteroid 2017 WY14 passes the Earth. Tasmania hit by flash flooding. Comet C/2016 R2 (PANSTARRS) reaches perihelion.